Aerial veiw of Port Phillip Bay. The Port of Melbourne’s $1 billion channel deepening project has marked a milestone by completing dredging at the entrance to Port Phillip Bay, but the port’s self-claimed success has faced questions. The port’s CEO Stephen Bradford said the dredging operations had been completed on time and budget, meeting all environmental requirements. He said that the channel deepening project was progressing smoothly, with 40 per cent complete after 238 days. “To carry out this work at the entrance on schedule and within budget is a significant achievement when you consider that prior to this project it was not known technically whether the dredging could actually be done,” Mr Bradford said. Victorian Ports Minister Tim Pallas said the $1 billion project would bring significant economic and social benefits to the state, with port activities currently supporting almost 14,000 jobs. “Channel deepening is expected to generate $2 billion to the national economy over the next 30 years, and create more than 2,000 jobs,” Mr Pallas said. He said the completion of the project by the end of next year would enable larger vessels to dock in Melbourne, lifting the port’s container freight throughput almost four-fold. 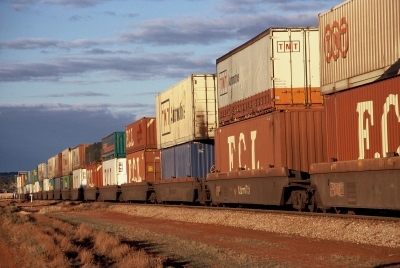 However, the economic prospect of the project is being questioned as Victorian exports have declined by 10.5 per cent since 2001, suggesting the biggest beneficiary of the project would be importers, not exporters. Mr Pallas rebutted, saying container shipping was growing by almost 8 per cent each year. “Even if the economic environment were to dampen we will not see anything other than the continuing growth and movement towards containerisation,” he told AAP. Mr Bradford said dredging was the most technologically challenging and ecologically sensitive aspect of the project, involving the removal of hardened material from the top of rocky banks. “It is the first time in the port’s history that the entrance has been deepened without the use of explosives, a practice ceased in 1986. He said the port would now start cleaning up residual materials at the entrance to meet the requirements of the project’s environment management plan.